...I went out for more food. Slowly but surely, I’m making my way through every restaurant in the North East (kind of), and this week was no different with my friend suggesting we head to Bistro Forty 6 to take advantage of their very, very good (almost too good!!) happy hour. 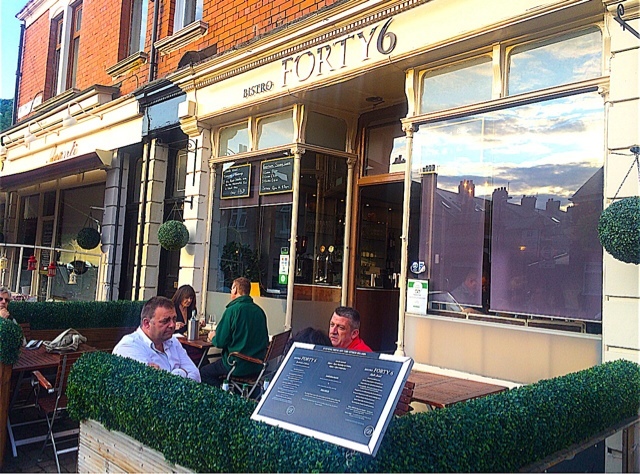 Happy hour at Bistro Forty 6, which is situated along Brentwood Avenue, is 5-7pm and offers you 1 course for £9.95, 2 courses for £12.50 and 3 courses for £15(plus a free alcoholic or soft drink!). You know exactly how many courses I ordered (three), and you definitely know what my drink of choice was (wine)…. 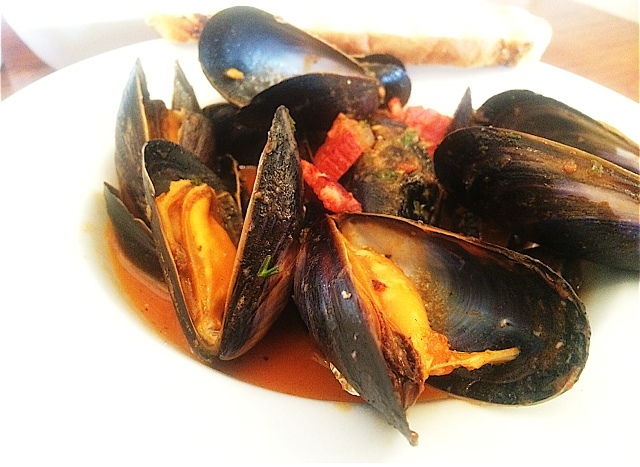 To begin with, I had mussels with chorizo in a spicy tomato sauce which was just what you would want from a starter – tasty but light, and not too filling that you couldn’t possibly face a main course. 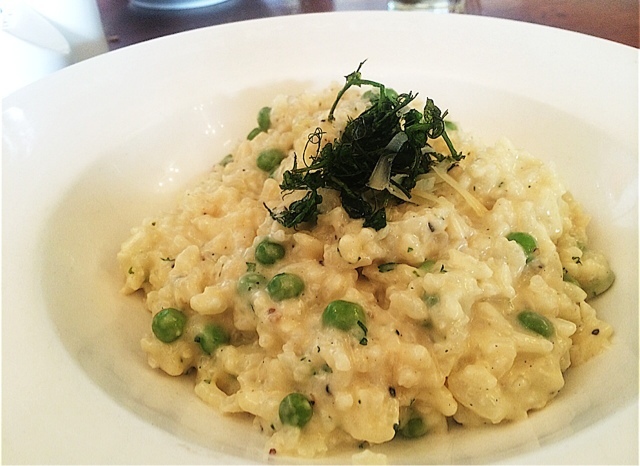 Next up, I decided on the Roast Garlic and Pea risotto, which might sound slightly strange, but it definitely did not taste it. I often find risottos too heavy and rich, and would much rather have a lighter meal eg fish, but this was really lovely, and just the perfect portion size to not send you hurtling into a food coma. 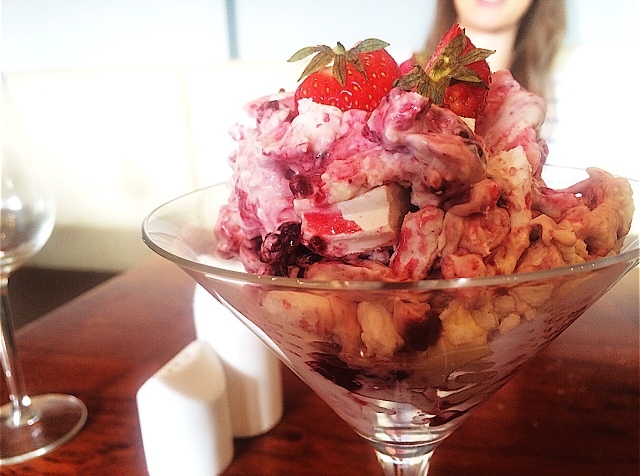 After a 10min break between our main course and dessert, which was spent marveling at how amazing the quality of the food is for such a great price, it was on to the prettiest presentation of Eton Mess I perhaps have ever seen! The restaurant is a small little place, with room for no more than perhaps 30, and has a sophisticated but personal feel. The staff were really lovely, and had the utmost patience when neither me or my friend could decide what we wanted to order…it all sounded so good, who could blame us! I couldn’t recommend trying out Bistro Forty6, in particular their happy hour which is just fantastic for the quality of the food.